NEON + MAI are partnered to present As One in Athens which consisted of the AbramoviC Method, newly commissioned performance pieces by Greek artists, and an extensive public program of lectures, workshops, discussions. AS ONE remains one of the largest and most ambitious project dedicated to performance art in Greece to date. With this collaboration, NEON + MAI aimed to provide a platform and help foster a new generation of Greek performance artists. 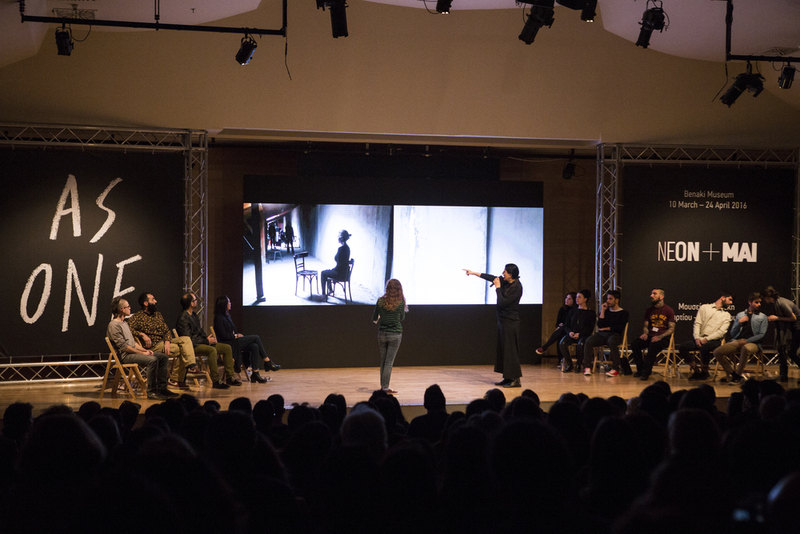 A number of emerging Greek artists were selected by neon + MAI to train and perform, and have been commissioned to develop and present new works for the project. All performances and programs were free and open to the public.